Disney and children are like peanut butter and jelly. The image of Mickey or Cinderella’s castle or that little orange fish are burned into our memories practically they day we’re born. Along with the movies and theme parks, a major chunk of the brand’s yearly profits come from merchandising; it’s estimated that the company made $2.5 BILLION last year in this particular area, which (not surprisingly) includes apps and mobile gaming products. “Wreck-It Ralph” was one of Disney’s major animated releases in 2012 and up until the DVD was released in February it seemed like the big oaf was everywhere. Well, not much has changed since last summer when the movie came out in theaters, because the big guy is still going strong and Wreck-It Ralph Storybook Deluxe is proof positive. Comprised of a narrated retelling of the movie and a fun racing game, this app has a lot to offer. The story is a condensed version of the movie and the illustrations are just as amazing as they are in the film. Each page has interactive surprises and scattered throughout the book are 6 video clips taken directly from the movie. 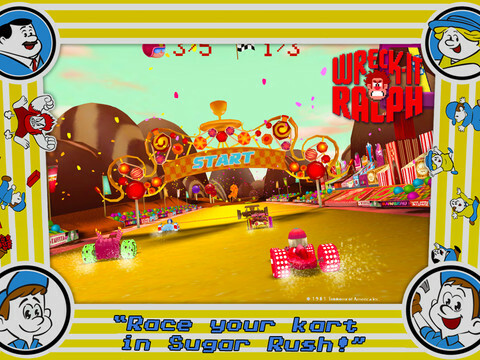 The racing game is especially fun because players can customize their candy-coated race cars. There are more options than there are flavors of Jelly Bellies jelly beans so the same car may never be duplicated. Move the iPad from side to side to make sure the car doesn’t drive off the track. Collect candy bonuses to shoot at the other drivers in the race. We love the movie and all of the apps that the franchise has to offer, including Wreck-It Ralph and Fix-it Felix Jr. Naturally we enjoyed this storybook and despite the toothache-inducing candy sweetness of the racing game, my 5-year-old had a blast playing it. Because we were able to download the app for free using a promo code, I didn’t even think to check the price. When I found out the price was $6.99 I was floored – that’s more than two kids’ meals at the friendly fast-food place down the street! It’s the same price as other Disney deluxe storybooks but it’s still pretty steep. If you have it in your budget to pay the download price than this app is great, especially for young fans of the movie. 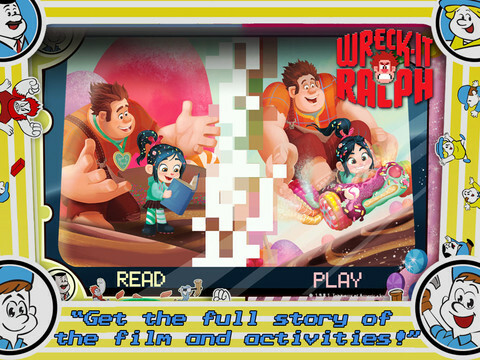 Otherwise check out some of the Wreck-It Ralph apps that are cheaper or even free. 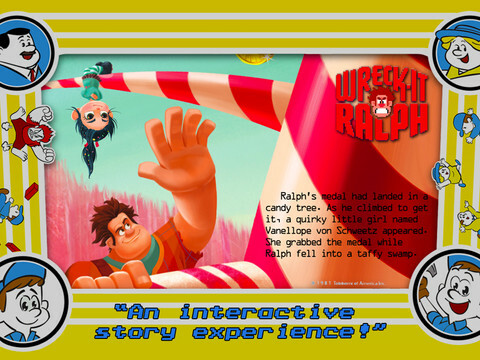 If you liked the movie “Wreck-It Ralph” then you’ll love this truly deluxe app!